Imagine being seated comfortably in a quiet room with two of today’s great Bible scholars. You realize that these are experts that you’ve really wanted to meet. Perhaps you ran across a book, heard a speech, or saw a presentation on television. You bought that book, or maybe a friend gave you a copy. You were challenged by ideas that you’d never seen before and the more you read the more you’ve asked yourself, “I wonder how this person arrived at these conclusions? What’s the real story here?” That’s precisely the inspiration behind this up close and personal conversation between Gary Stearman and Bill Salus on this timely DVD. 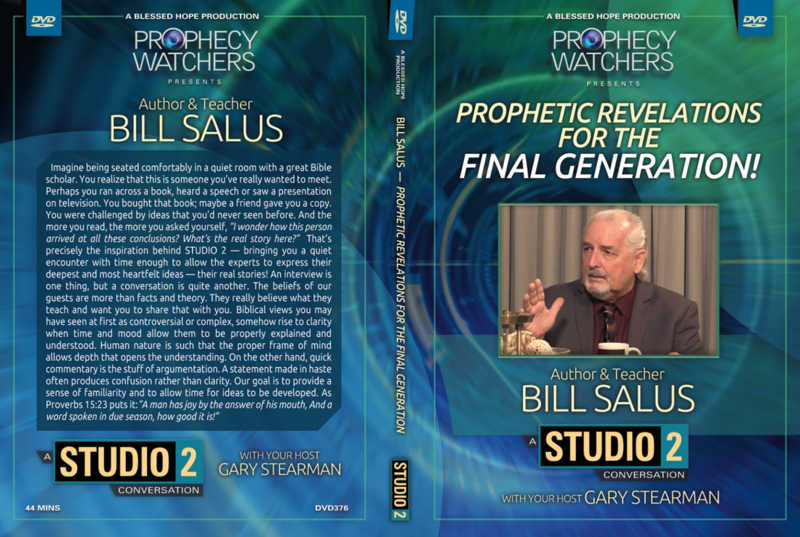 Bill Salus shares his personal testimony and explains how to use Bible prophecy as a witnessing tool to evangelize the lost in this final generation. This conversational DVD will draw you into a deeper understanding of what Bible Prophecy really is and which Bible prophecies are poised to find their fulfillment NOW at the PRESENT TIME!